Last week the new director of U.S. Immigration and Customs Enforcement (ICE), Sarah R. Saldaña, made two things clear: she needs a refresher course on Constitutional Law and she needs to reread the immigration enforcement priority memorandum written by her boss, Department of Homeland Security (DHS) Secretary Jeh Johnson. On Thursday during a House Oversight and Government Reform Committee hearing, Rep. Mick Mulvaney (R-S.C.) asked Saldaña whether she thought Congress should “clarify the law” to require state and local law enforcement to lock up immigrants at the request of ICE. She responded with an enthusiastic “Amen.” Saldaña begrudgingly walked back her shocking answer the next day because it flatly contradicted Secretary Johnson’s observation that an increasing number of federal court decisions hold that detention based on ICE requests to state and local law enforcement agencies violates the Fourth Amendment. On Friday, Saldaña made things worse. She refused to stop the patently unjust deportation of Pastor Max Villatoro, a Mennonite preacher from Iowa City. 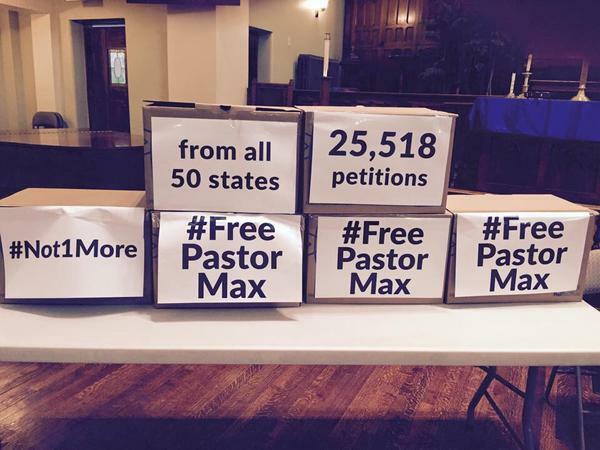 Pastor Max’s deportation case had sparked an unprecedented outcry of support from Iowa and around the country—including 40,000 petition signatures, dozens of compelling video pleas, rallies in the streets of Iowa City and a letter from 400 faith leaders. Americans pleaded with Director Saldaña to open her heart, use her common sense and grant Max a reprieve so that he could stay with his wife Gloria and their 4 U.S. citizen children. ICE of course trumpeted the fact that 17 years ago (when Max was in his 20s), he was convicted of tampering with records to get a driver’s license and DUI—both misdemeanors. According to ICE, regardless of how long ago these offenses occurred, Max remained a “Removal Priority.” Never mind that in the nearly 20 years since, Max became a husband, father, religious leader and pillar of his community. The immigration enforcement guidance plainly gave ICE the authority to stop Pastor Max’s deportation because, as the DHS memo says, there were “factors indicating [he] was not a threat to national security, border security, or public safety, and should not therefore” have been considered an enforcement priority. 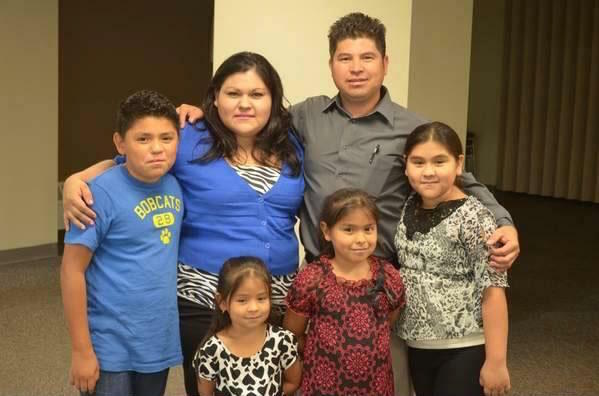 For the immigrants across the nation, Pastor Max’s removal was a test case. Would Director Saldaña take a rigid, unforgiving view of the new deportation guidelines? Or would she understand that the guidelines leave plenty of room for common sense? In the end it was clear Saldaña viewed the DHS enforcement guidelines as little more than a detention and deportation checklist to be robotically followed regardless of individual circumstances and regardless of the heavy toll Max’s deportation was taking on his family and community. Saldaña refused to recognize that far from requiring Max’s deportation, the DHS removal priorities unquestionably empowered ICE to grant Max a reprieve. Clearly no one —not even ICE— could seriously suggest Max posed any threat to national security, border security or public safety. And so early Friday morning, Pastor Max was put on a plane and deported to Honduras. Yet just the day before, when she appeared before Congress, Director Saldaña gave lip service to the very prosecutorial discretion she failed to recognize when it came to Pastor Max. In response to questions from Rep. Eleanor Holms Norton Director Saldana proudly claimed that ICE always takes into account the severity of the person’s crime, his or her work history, family ties and length of time in the U.S.
Really? Tell that to Pastor Max’s wife, his four children, his church and his community. For now, ICE Director Saldaña has refused to follow the guidelines that compel her and her agents to look at the whole person. Pastor Max, needless to say, was not a security threat to anyone. Quite to the contrary, he was a pillar of his community. And if Director Saldaña continues to refuse to properly implement DHS policy will there be consequences, as President Obama promised earlier this month? David Leopold, a former president of the American Immigration Lawyers Association, is Max Villatoro’s attorney.